It’s been almost a year exactly since my weight loss journey began (if you start the year from my bout of the flu). Just a warning. At the end of this post there will be before and after photos. If half-naked, middle aged men offend you, don’t scroll down. I started out the year at 212 pounds give or give a few pounds. I lost 6 pounds on the Flu (no appetite plus fever plus diarrhea will do that to you). No telling how much of the weight was just water. But hey it was a start. I’d better capitalize on it. But after I started tracking my calories, I realized the real reason I was probably losing so much weight is that when you have a hefty soda, junk food, and dessert habit, when you cut out those carbs, you also cut out all that fat too, leading to a massive calorie restriction. You just don’t realize how few calories you’re eating…or at least I didn’t I guesstimated that on average I was only eating 1200-1600 calories per day even though I thought I was eating way more. On February 21, I switched to a flexible dieting/”If it fits your macros” approach along with strength training. I can eat whatever I want (within reason) as long as I hit my calorie and protein targets. This leads to the concept of tradeoffs. For example, almonds are often touted in the Paleo/Keto world, but chocolate has fewer calories and is more satisfying. SOLD! I immediately gained 2.5 pounds, which I attribute mainly to increased water retention as I was no longer in ketosis. I stayed on Aggressive Fat Loss until September 1, when I weighed 166 pounds. I hadn’t weighed 166 pounds since I worked as a Lifeguard and Beach Attendant in 1995. Only this time I had better abs. On September 2, I officially started bulking. I kicked off the bulk with a two day cruise where I just ate whatever I wanted which happened to include two entrees for dinner every night. This was the first time I had eaten breakfast since starting Aggressive Fat Loss. I later estimated that I ate 2000 calories just for breakfast on the cruise. I gained an impressive 10 pounds on the cruise although a large part of it was water that I lost over the next few days. I bulked through Christmas ending up at 184 pounds (18 pounds heavier than my lightest on September 1). I absolutely LOVED the eating, but I didn’t like the look. Yes, I gained muscle as was the plan, but I also gained fat, and I much preferred having more defined abs. I could have gained a bit more muscle, but I tweaked my shoulder (while playing, not while lifting) and was unable to push the weight on bench press and overhead press. The Monday after Christmas, I started cutting again. As of this writing, I am 176 pounds. I plan on continuing to cut until I have a true six pack. I guesstimate that if I was able to put on 5 pounds of muscle during the bulk and keep it through my cut, that I will end up around 165 pounds. If I was able to gain and keep more muscle, it will be little heavier. From there, I plan to do a series of very lean bulk cycles, gaining no more than 10 pounds over six months and pretty much stay between 165 and 175 for as long as I can. I am incredibly thankful that I found flexible dieting. It works and is very sustainable. When I started the journey I would have been happy with just losing 10-15 pounds. I never dreamed that I would end up looking better at 42 than when I did at 22. And I have flexible dieting to thank for giving me the hope to not only make it a goal but see it through to fruition. At 42, I had better abs than when I was 22! 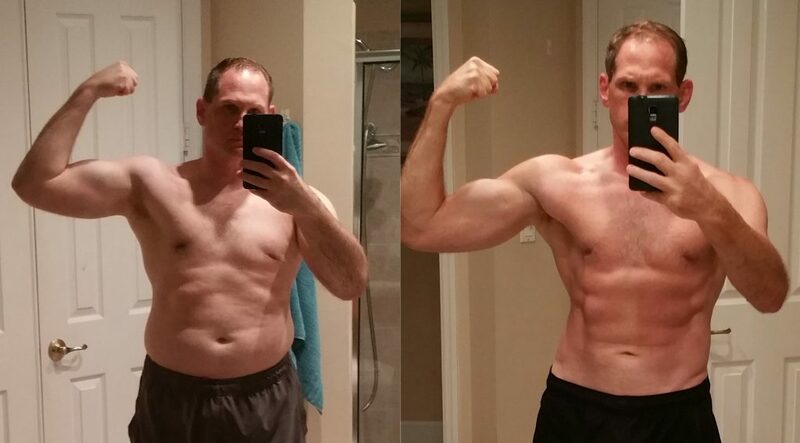 My brother had a lot of success with a ketogenic diet. I had always had a not-so-secret love affair with low-carb diets, so based on his experience, I did it too. Despite the initial weight loss, it just wasn’t much fun after a while. So I left it for flexible dieting, which I was able to stick with until my goal. My brother on the other hand eventually stopped from not being able to sleep well and leg cramps. According to him, if you google “Atkins le” or “ketogenic le”, Google will suggest leg cramps. Most people who diet fail to keep the weight off, and I can understand why. You can’t just go back to whatever you were doing before and expect to keep the weight off. 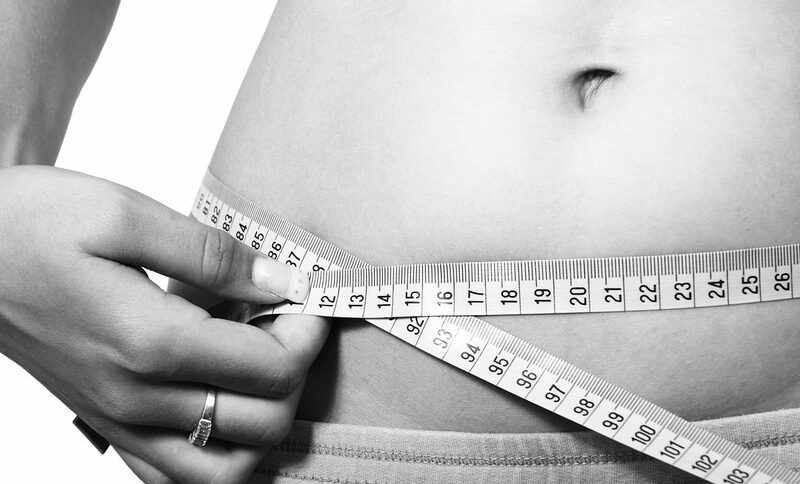 You have to maintain your lifestyle changes for the weight change to become permanent. And the beauty of my current diet is that I can truly eat whatever I want within reason. I can have a large cheat meal or cheat cruise…as long as I adjust my calories before or after. I can eat dessert every day (much to the chagrin of my wife who thinks treats aren’t treats if you get to eat them every day). An eating plan that you enjoy so you can make the process sustainable. I should also give a shout out to Radu Antoniu, whose videos are some of the most informative, entertaining, and well edited out there in the fitness world. His program Shred Smart is also worth looking at even though you can learn everything you need to know from this free videos. Heck you if you want to pay me to hold your hand through the process, I’d be happy to do it. Just e-mail me at holdmyhand@patheyman.com.